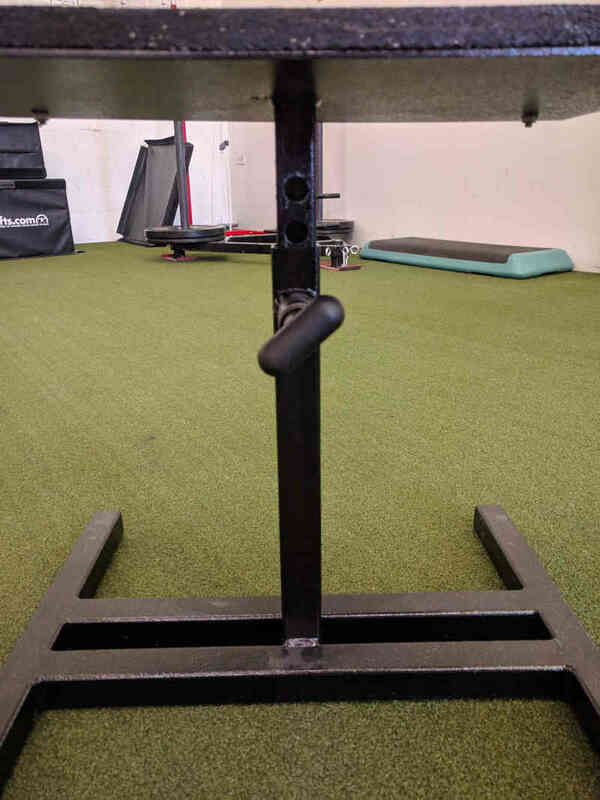 The Adjustable Squat Stool is a simple tool that is useful both in the clinic and weight room/gym. It is light enough to easily move anywhere in your facility but sturdy enough to use for obese patients or when strength training with heavy weights. For the clinician who uses squat form and ability as a functional goal for patients this stool is for you. The highest seat position is 22 inches which is higher than most chairs and will be a realistic starting squat position for anyone capable of walking into your clinic or who might be just starting to weight bear after surgery. The stool can then be lowered at 1 inch increments down to 14 inches high. 14 inches is the height of the lowest toilet seat that will still be encountered at home or in the community. 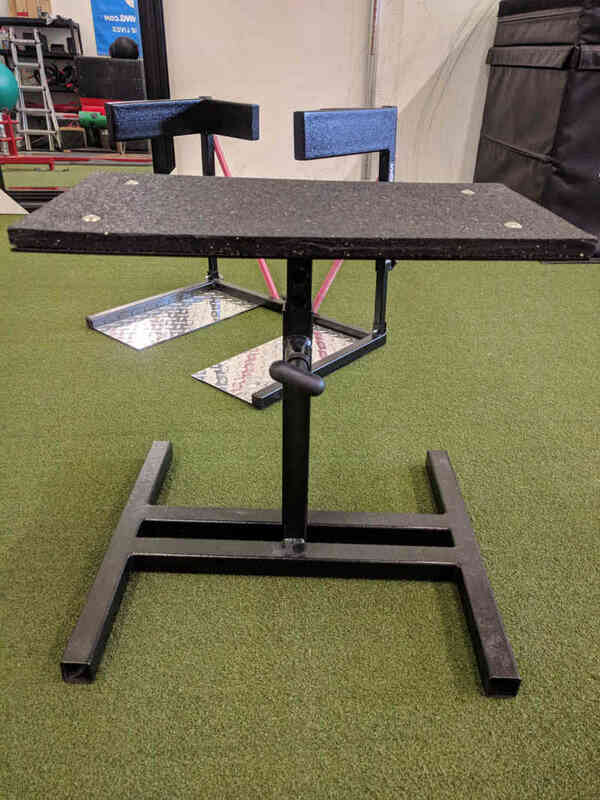 Being able to squat down, under control to the lowest setting on this stool is a great functional goal when working with patients in a physical therapy or chiropractic setting. The height is easily adjusted with a pull-pin system and then screwed down to prevent any wobble. 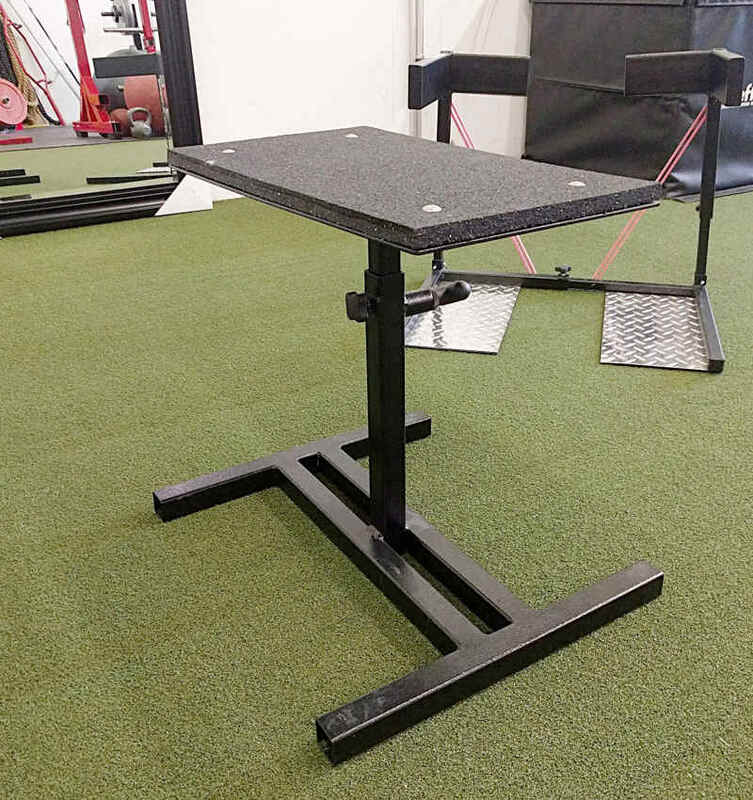 Add the Adjustable Squat Stool to your Mobility Program today! The Adjustable Squat Stool is sturdy enough for heavy box squats during serious lifting sessions. Lighter than others box squat options and you can adjust the height quickly between reps for your patient or client.